Universal Cargo strives to ensure all our moves to be safe and in compliance with customs regulations. Thus, we warn shippers about the dangers that can arise from packing certain common household items for shipment. Many common household items are very hazardous when packed. Heat quickly builds up inside containers, which can trigger an explosion that can cause serious damage to a shipment. Please, make sure that none of the items listed in the following guideline are packed in a shipment to be moved. Most countries apply restrictions to firearms, alcohol, drugs and often political or pornographic literature is totally prohibited. In other instances some items can attract duty or tax fees and in order to avoid any problems during customs clearance you should make enquiries with your consulate in the country of destination to obtain their advice. 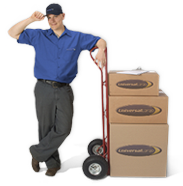 We can also assist in this regard and our Moving Consultant will also help you. Additionally, bear in mind that due to differing voltage requirements and broadcasting frequencies, some of your items powered by electrical current might not be suitable for use in your new country.